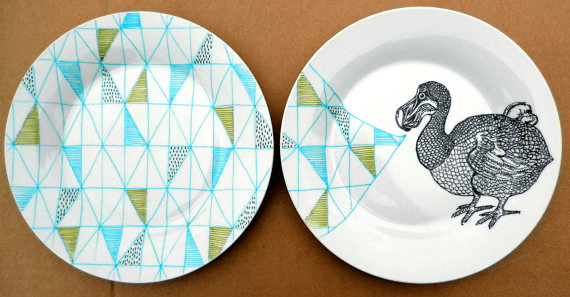 Mealtime doesn't have to be all about the food thanks to the plate illustrations of PerDozenDesign. 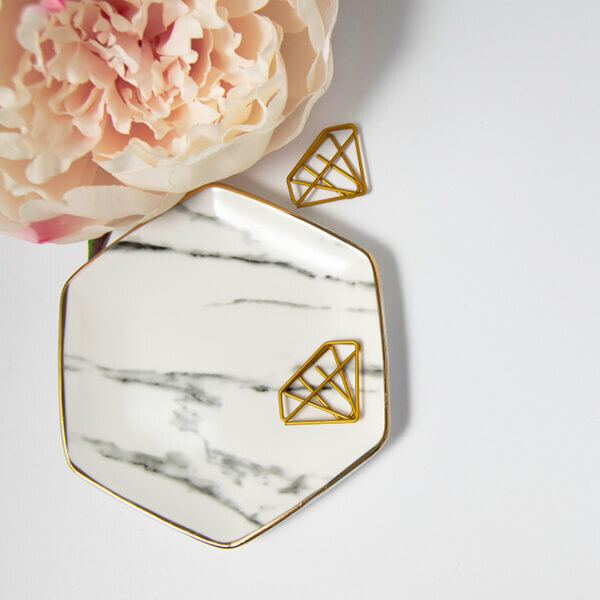 Mealtime doesn’t have to be all about the food thanks to the plate illustrations of PerDozenDesign. 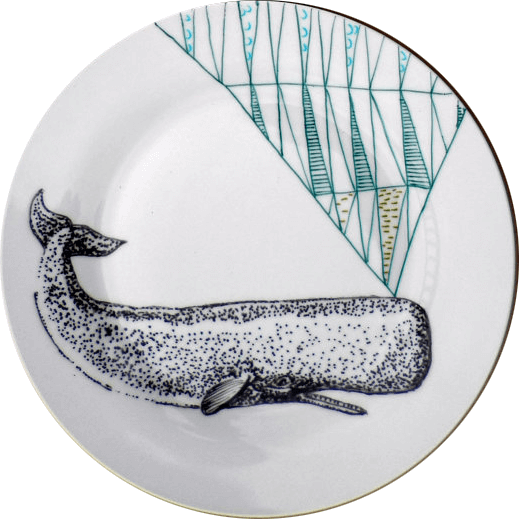 The Etsy shop of Catherine Keher, an artist based in Kilkenny, Ireland, plate illustrations make dining much more enjoyable by turning it into an artistic experience. People will delight in the detailed portraits of animals, who interact with colorful geometric designs. In addition to being an illustrator, Keher is also a print maker, teacher and crafter. It comes as no surprise that her plate illustrations have such an innocent and crafty undertone. Her signature style is strong throughout the collection. It is interesting to note that she draws directly on the dishware without sketching out an idea first.